Modern day interior decorating is about expression. It is about the evolution of contemporary lifestyles and showcasing what we know, as individuals, to be conducive to the beautification of our living spaces. There are an infinite number of interior decorating styles that allow us to create ambiance and flow throughout our residential living areas. A smooth continuous flow is imperative to create a favourable atmosphere in every area of the house. Whether it’s comfortable living room designs or cosy bedroom décor, we have the opportunity to manipulate space and design to meet our individual standards. 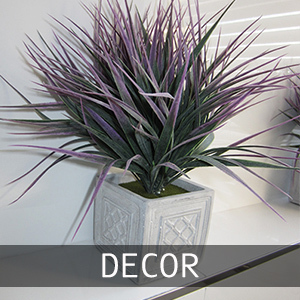 The art of interior decoration incorporates special manipulation and conceptual development. Interior décor compliments the space that has been created by accentuating the most desirable features. We use it to emphasize those features that we find most favourable and to create living areas that will compliment your lifestyle. The use of interior décor allows us to design a space that is both functional and attractive while benefiting your quality of life and showcasing your culture. Your personal attributes contribute to the tone of each room and reveal particular characteristics within your home. Natural and artificial light, colours, textures, and art are all incorporated into the story of your home. Each room tells just a little bit. Modern day interior decoration offers endless possibilities for the story to be told so many different ways and all without compromising practical function. Interior decoration is all about shaping the experience of the domestic space. It is an intimate and important experience that redefines a room with balance and symmetry. Transition, contrast, repetition, and progression all play a big part in the best interior decoration. Of course, colour helps set the tone and atmosphere. Interior decorating is the opportunity to add your personal touch to a room. When approached correctly, it can be a profound and unparalleled experience that you will enjoy for many years to come.